This post originally appeared here on August 17, 2008. But I’m reflecting on it again in light of Good Friday. I have proposed below that the death of God’s servant is precious to him (Psalm 116:15) perhaps because it is a rare and costly thing. It is costly because it means that faithful servant is no longer serving the Lord’s purposes on this earth. How does that apply to the death of Jesus? Jesus’ public ministry on earth ended with his death, so we can again say that the death is costly. And it cost Jesus so much more, too. Insults, beatings, the agony of a slow murder. Despised by men, forsaken by the Father, he who knew no sin becoming sin for us. And yet the death of Jesus is also precious because it accomplishes so much! Victory over sin, death and the devil! Jesus died so that I don’t have to die. Yet through his death, I too can die to self, sin, my sundry precious idols, and yes, I too can die to death in the death of Christ. We learn a good lesson from Tolkien’s Gollum and the ring he calls “My Precioussss.” Indeed it is the things we consider most precious that have a way of sucking us into their power to control us and blind us to their dangers and to the value of other things. Even our approach to the word of God can become that to us if we lose sight of the living God who speaks that word (see NT Wright’s recent lecture to a group of Anglican bishops concerning the theme of his book Scripture and the Authority of God ). We students and scholars of the Bible also come to the word of God with our interpretive “Preciouseses,” and we allow these perspectives–as well-intentioned as they may be–to control our reading and application of the text. The critical biblical scholar will not only question the texts, but himself–his methods, his conclusions, and his presuppositions–and the others who share in the same task. For he knows how often men are captive to their own prejudices and limitations…. On the one hand the historian remains critical of his own critical abilities…. But in a more profound sense he recognizes that in judging a text he also places himself under judgment of the text. And where the text deals with the profundities of man, that calls for a submission to the autonomy of the text that calls the historian forth for judgment and knowledge of himself. Then history performs its humane or (in the case of biblical texts) its theological function. And thus, the recent interaction with Dr. Claude Mariottini between his blog here and mine here and here about the meaning of the word יקר (yāqār) ‘precious’ in Psalm 116:15 prompts me to re-examine my own approach to the text and translation. The discussion has centered around the legitimacy of some translations to interpret the word יקר (yāqār) in this context to mean ‘too precious’. And so instead of a more literal translation stating that the death of the faithful is precious to the LORD, they either say that the death of the faithful is somehow grievous to the LORD (NAB, Tanakh, TEV, CEV), or the verse focuses completely on the value of the life of his faithful followers (NET). Even though I have argued that the death of the faithful in Psalm 116:15 may be precious to the LORD precisely because he finds great value in their continued faithfulness in life, I feel quite uncomfortable losing the reference to the preciousness of death in a translation. Although I appreciate the NET Bible for getting at the potential underlying significance of the verse–the LORD values the lives of his faithful followers–it unfortunately removes any reference to death at all, and so the translation fails to show what this significance is in application to. In other words, the original expression of this verse is not a statement about life, but of death. The value that God places on faithfulness in life may help us to understand why he considers the death of one of his children such a precious thing, but the statement about the preciousness of death should not be lost too easily. Something is precious when it is rare or when its value is high. We are willing to spend a large fortune on something that is most dear to us. And the great cost to the LORD of seeing the death of one of his faithful servants is that the person is no longer serving the LORD in the world. That is one way in which the death of the faithful may be understood to be a precious thing to the LORD. But to merely say that the LORD values the lives of his faithful followers says nothing of those lives coming to an end in death nor of the LORD’s view of such a death. Furthermore, such a translation precludes any other possible explanation for the LORD’s perspective on the preciousness of death among his faithful. When a passage is debated like this, or when its meaning is truly ambiguous, it is a worthy goal of the translation team to express the meaning with an equivalent dose of ambiguity. However, inasmuch as the process of translation is an arduous and complicated process, the attempt at translating a double meaning or an ambiguous meaning is exponentially more difficult. It may be easiest to do if a highly literal translation reflects the same indeterminacy or multiplicity of senses as found in the original language text. But that is often unlikely. I know it’s impossible to avoid interpretation in translation, and many times it’s necessary and important to choose the best understanding of a text to be reflected clearly in a translation. But we certainly don’t want our translations to over-interpret the text. When a translation comes down heavily on one side of an ambiguous, unclear, or debated text, that may be over-interpretation. If that interpretation is something that we hold dear–perhaps a “My Precioussss”–it’s more difficult to let it go. But even as we apply the tools of exegesis and communication to the processes of interpretation and translation, we must allow the Voice of the text to do his theological work in us. When I read “the house” in the gospels about a house that I have not been introduced to yet, this communicates to me that there was a definite house that Jesus was going to. If the translation were to say “a house,” that would sound to me like Jesus was aimlessly meandering and randomly came across any house when he felt like it was time to stop. So in some of these cases, the ‘the’ doesn’t have to have the same discourse function that we often think of when it is used to refer back to a previously introduced noun. Rather, the article conceptualizes the noun in a certain way (perhaps even making it definite, although it is true that definiteness is not ultimately dependent upon the Greek article) for other reasons besides its previous occurence in the text.In Mt. 9:28, I like what the NLT has done here with “the house where he was staying.” That has the effect of communicating a certain definiteness, and it seems to be a very likely referent that is not too overly specific without other clues. Often times “going into the house” in Greek is the equivalent of our English “going home.” On the other hand, isn’t it possible that “the house” refers to Matthew’s house, the last house we hear of before Jesus was summoned to go to the synagogue leader’s house? Maybe not, since that interpretation would assume that Jesus stayed there for more than just dinner and was there for several days during which the disciples of John the Baptist came to him before the synagogue ruler came to him. Probably quite unlikely. Therefore, it seems that the best option is that Jesus is still in his own town (cf. 9:1), so “the house” is probably whatever house he’s staying in, perhaps even a family house, or ‘home’ as “the house” often means in Greek. As for 13:36, it’s very possible that Jesus is back in his home town again, since 12:15 says that he left the area he had gone to after he left his home town. Also, his mother and brothers are back in the picture in 12:46. Mt. 13:1 refers to Jesus leaving “the house” and so 13:36 refers to him going into “the house.” It’s the same one he left, very definite even if we don’t want to go so far as to say it was his family home. As for 17:25, this is Peter’s home town, (cf. Mt. 4:18) and we know that Peter’s mother-in-law had a house there (Mt. 8:14), so this is probably one of those places where “the house” is best understood as the definite idea of ‘home’. Mt. 24:43 has “the house of him” because it has already referred to the ‘homeowner’. Daniel Wallace discusses the uses and non-uses of the Greek article in Greek Grammar Beyond the Basics, pp. 206-290. I have summarized his discussion in 4 pages if anyone is interested. As for the differences between the Greek and English uses of the article, it is best to try to identify why a Greek noun has the article in particular instances before deciding if the same meaning is communicated in English with or without the definite article. Well, I see that Nick Norelli identified this blog here as having a focus on James, and it made me realize that although I have posted much on bibliographic resources for James, I haven’t posted much on James myself. So I thought I’d start making some short observations on James. I’ll start with verse 1. Ἰάκωβος θεοῦ καὶ κυρίου Ἰησοῦ Χριστοῦ δοῦλος ταῖς δώδεκα φυλαῖς ταῖς ἐν τῇ διασπορᾷ χαίρειν. James, a slave of God and of the Lord, Jesus, the Christ, to the twelve tribes in the diaspora: greetings! Right away, you’ll notice an abundance of commas in my translation above. This is very intentional. Is “the Lord Jesus Christ” to be understood as one big proper name? I don’t think so. ‘Jesus’, of course, is a proper name, but what about ‘Lord’ and ‘Christ’? Certainly the authors of the New Testament wrote the name of Jesus in combination with ‘Lord’ and/or ‘Christ’ very frequently, and references to Jesus along with these titles became somewhat formulaic. However, even though the name of Jesus was commonly uttered along with ‘Lord’ and/or ‘Christ’, this in no way means that these titles lost their meaning, especially if there is evidence in the context that supports the possibility that the meaning of these titles is in view. So, in James 1:1, I see this as a statement by James that he is a slave of God and of the Lord. Who is the Lord? There’s only one Lord — Jesus. Jesus the Messiah (Christ). Punctuation, such as that which appears in our modern Greek texts and translations, is, of course, of recent vintage. Hence, it is legitimate to ask if the authors, and much of early Christendom with them, may have assumed some relation between the terms other than that suggested by the lack of commas in our contemporary texts. May they have intended “Lord, Jesus Christ,” “Lord Jesus, Christ (= [the] Messiah)”, or “Lord, Jesus, Christ (= [the] Messiah)”? For although there may be so-called gods in heaven or on earth — as indeed there are many “gods” and many “lords” — yet for us there is one God, the Father, from whom are all things and for whom we exist, and one Lord, Jesus Christ, through whom are all things and through whom we exist (1 Cor 8:5-6). It is interesting that in this context the RSV editors (but not those of the Nestle-Aland 26th edition of the Greek NT) insert a comma between “Lord” and “Jesus Christ,” thus placing “Jesus Christ” in apposition to “Lord” and defining which of the many lords is the intended reference. Why, I ask, is specificity needed only here? The situation to which Paul refers was rampant throughout the world of the NT. There is, I suggest, evidence of just such an attempt for preciseness in the NT text itself. Again, working from statistics gleaned from the RSV, six (17%) of the occurrences of “Lord Jesus” are prefaced with the pronoun “our,” “our” precedes one of the two occurrences of “Lord Christ,” and the possessive pronoun is found forty-one times (or 65%) of the sixty three appearances of “Lord Jesus Christ”; the writers want to make clear that they refer solely to the Christian’s lord, “our Lord, [comma!] Jesus Christ.” Note that our statistical survey did not include such phrases with built-in specificity as “Christ Jesus our Lord” (Rom 8:39; Eph 3:11; 2 Tim 1:2), “Jesus Christ our Lord” (Rom 1:3), “Jesus our Lord” (Rom 4:24), “Christ Jesus my Lord” (Phil 3:8), or “Christ Jesus the Lord” (Col 2:6). Against this background we return to the Epistle of James. In the first verse we are confronted with the statement, “James, a servant of God and of the Lord Jesus Christ” (1:1, RSV). Is it not legitimate, indeed mandatory, that we consider translating these words, “James, slave of God and of the Lord, Jesus, the Messiah”? Such a rendering immediately transports us into a very different world than that often assumed for the epistle. It is a world of slaves and lords. And, for Christians, there is no Lord other than Jesus. In this Semitic world the Greek Christos is not merely part of a proper name but a reverential title, “The Anointed One.” Hence, James conveys the same affirmation as did Peter at Pentecost, “Jesus himself is both the Lord and Messiah” (Acts 2:36). Although we have preferred to translate “servant” (doulos) “slave,” it is noteworthy that Ralph Martin, rejecting a sociological sense, insists on “servant.” This, he notes, was a designation of honor and authority for such leaders as Moses, David, and the prophets. It may carry overtones of Phil 2:11 where the humiliated one received honor and glory. This introduction in 1:1 sets the stage for the epistle with phrases which, in a Jewish Christian setting, assume a high Christology. It erects the framework within which the epistle is to be understood. If the author was “James, the Lord’s brother,” a member of Jesus’ boyhood home, who during his public ministry did not “believe in him” (John 7:5), the self-designation “slave” (doulos) is all the more surprising. It gives such terms as “Lord” and “Messiah” even more force. James, 4-8. So if the rest of the Letter of James is read in light of James having identified himself as “a slave of God and of the Lord, Jesus, the Christ [=Messiah], what happens? This issue comes up again in James 2:1. We’ll look at that next time. What does it mean in Acts 10:4 when the angel of the Lord tells Cornelius that his prayers and charity to the poor went up as a “memorial offering” before God? Clearly, this is the language of acceptable sacrifice. But what is the significance of this particular kind of offering, a “memorial offering”? Is that the intended significance of “memorial offering”—that God thinks of (or remembers) the person who has given the offering? Sort of. The Greek word here is μνημόσυνον mnēmosunon ‘memorial’, something that enables someone to remember. So if the memorial goes up before God, then it makes possible sense that it functions as a memorial for God to remember something about the one who gives the memorial. But this word was used in the Septuagint to translate the Hebrew אזכּרה ’azkārâ, the ‘memorial portion’ of the grain offering in Leviticus 2:2, 9, 16; 5:12; 6:15; Numbers 5:26. Driver (Journal of Semitic Studies, 1 , 100) described it this way: “It is the sign whereby the worshipper is reminded or taught that the whole offering is in fact owed to God but that He is pleased to accept only a part of it as a ‘token’ while remitting the burning of the rest of it on the altar so that it may be otherwise consumed.” Thus, Driver puts the focus of the remembering on the worshipper, not on God. Thus, in drawing attention to the piety of Cornelius as the ‘memorial portion’ of a worship offering to God, the angel of God anticipates how Cornelius will function later in the episode as a representative of men from all nations who receive grace and peace from God through Jesus Christ. they still wanted to translate it almost exactly like they originally had it. Nu uma empo nu’pu ompla mingkla, nu ese nane kore ompla mingkla paiyi kore. La mana wongke uma mingklari nane wu ompla mingkla, mana namo nu ese naline wu fa wu ese yali kore ompla mingkla. Ol man i kisim ol planti samting, ol bai givim bek ol samting planti igo bek. Sapos wanpela man, ol man planti i givim em planti samting, dispela man ol bai askim em long em bai givim ol samting planti bek. People who receive many things, they will give back many things. If a man–many people have given him many things–this man, they will ask him that he will give many things back. Nu uma e nu’pu ommo mingklari e bosni, bos ese yali mi kero fa nurune ommo mingklari woneni. Ne mana fina, bos ya’ne ira uporo mingklari, mana namo nu ese nunarine wu mi mimgkla. Ol manmeri i kisim ol planti samting bilong bos, bos bai givim tok strong bilong lukautim ol planti samting bilong en. Na husat man, bos i givim planti gutpela het, dispela man ol bai askim em long planti tok. People who receive many things belonging to [their] boss, the boss will give strong talk for him to look after the many things belonging to him. And whatever man, the boss has given [him] much good head [= much knowledge], this man people will ask him about much talk. this context. And if we didn’t put these things in, the translation would definitely mean the wrong thing–something about reciprocal giving of goods that really has nothing to do with faithful stewardship to an authority. So even though things are going slow, I’m really happy with the kinds of changes that we’re making. J.L. Sweelengrebel, “Translating the Divine Names,” The Bible Translator. Vol 3:4 (October 1952): 171–196. J.L Sweelengrebel, “Discussion of Translating the Divine Names,” The Bible Translator, Vol. 3:4 (October 1952): 196–199. Noel D. Osborn, “This Is My Name Forever: ‘I AM’ or ‘YAHWEH’? The Bible Translator, Vol. 39:4 (October, 1988): 410-415. Robert E. Smith, “By My Name YHWH, I Did Not Make Myself Known,” Notes on Translation, Vol. 4:4 (1990): 51-52. Ray Pritz, “The Divine Name in the Hebrew New Testament,” Jerusalem Perspective, Vol. 4:2 (March/April, 1991). David Bivin, “‘Jehovah’—A Christian Misunderstanding,” Jerusalem Perspective Vol. 4:6 (Nov./Dec., 1991). David Bivin, “The Fallacy of Sacred Name Bibles,” Jerusalem Perspective, Vol. 4:6 (Nov./Dec., 1991). This is a special issue of Practical Papers devoted to a single topic. We visit again the topic of translating the names of God, especially in the Old Testament; and all of the articles and other contents of this issue will be on that topic. Over all the years The Bible Translator has been published (since 1950) there have been many articles written from various perspectives about translating the names of God. Besides articles there have also been some books written about the names of God. One book which was made available to Bible translators for a time was The Lord is God by Hellmut Rosin. A more recent study is the book entitled In Search of God by Tryggve Mattinger. Translating the names of God is a matter of great concern to many Bible translators. All translators have to deal with it almost as soon as they start translating seriously. It can be both a difficult issue and a divisive issue for a translation team. It is also an issue on which readers and hearers of the Scriptures have strong feelings. In my own experience as a Bible translator it was the hardest issue of all to work through in bringing together two different large churches in a single translation project. It has become clear in recent years, if it wasn’t clear earlier, that no one solution to the problems we face in translating the names of God will meet all situations. There are variations and differences in the way names are used in different languages and cultures around the world; there are also wide differences in the existing names and ways of referring to deity. For this reason different approaches to translating the names of God in the Bible are necessary in different situations. And this is not to mention the variety of church usage and church teaching in different places and different Christian traditions! It is not my place to go into the topic at length. This is just an introduction to what you will find in reading this issue of Practical Papers. However I must refer in this introduction to an important gathering which was held in May last year, which was an occasion for a number of papers and discussions on the topic of translating the names of God. This was a UBS Translations Workshop at Victoria Falls in Zimbabwe; and the first item in this special issue is a statement entitled “How to Translate the Name” from the group of UBS consultants and advisers meeting there. Following the important statement from the UBS Workshop are a number of articles, which are mostly papers or parts of papers presented during the meetings. In all cases they have been edited for publication in Practical Papers. My special thanks in this connection go to my colleague Kees de Blois who was responsible for the selection and first editing of the material which makes up this special issue. He also prepared the bibliography which is the final item. The first of the articles is in fact written by Kees de Blois. “How To Translate The Name,” The Bible Translator, Vol. 43:4 (October, 1992): 403-406. Kees F. De Blois, “Translating the Names Of God: Tryggve Mettinger’s analyses applied to Bible translation,” The Bible Translator, Vol. 43:4 (October, 1992): 406-414. Starting from Tryggve Mattinger’s study on the names of God, he discusses its consequences for translation. He underlines the importance of the associated meaning of the “tetragrammaton” yhwh, while still recognising its function as a proper name. He then summarises the three most widely adopted approaches to the translation of yhwh hyh with arguments for and against each. Noel D. Osborn, “The Name: When Does It Make A Difference?” The Bible Translator, Vol. 43:4 (October, 1992): 415-422. Noel Osborn writes of his conviction that choosing just one option to deal with all occurrences of yhwh is not the best we can do in translation. He discusses a number of references where understanding yhwh as a name makes a great deal of difference to our understanding of the passage; and he then makes a good case for transliterating yhwh in those passages. An important part of his article is a classification of 129 sample references in twelve different categories, with a recommendation as to how the name yhwh should be handled in each type of context. Donald J. Slager, “The Use Of Divine Names In Genesis,” The Bible Translator, Vol. 43:4 (October, 1992): 423-429. In the next article Donald Slager studies the occurrence and use of the two terms yhwh and ‘élOhîm ‘lh in Genesis from a literary perspective. He compares the source critical approach with that of more recent literary analysts; and he presents some explanations from a literary perspective for the name switching that is found in some well-known stories. Ernst R. Wendland, “yhwh- The Case For Chauta ‘Great-[God]-of-the-Bow’,” The Bible Translator, Vol. 43:4 (October, 1992): 430-438. Ernst Wendland gives a very revealing discussion of the translation of the term yhwh in the Chichewa Bible. He refers to the way the name was transliterated in the older translations, and then describes the approach of the most recent Chewa translation team to the problems of rendering it meaningfully. Nitoy Achumi, “Translation of ‘God’ and ‘Lord’ in Some Naga Bibles,” The Bible Translator, Vol. 43:4 (October, 1992): 438-443. The two final articles are both studies of the way the terms yhwh and ‘élOhîm have been translated in some of the languages of North India. Nitoy Achumi presents a study of translation in three of the Naga languages. He studies in particular the key terms in those languages for spirits or deities, and discusses how some of those terms have been taken and used in Bible translation. He notes a wide variation between the three languages studied in the way the name yhwh has been treated. Benjamin Rai, “What Is His Name? Translation of Divine Names in Some Major North Indian Languages,” The Bible Translator, Vol. 43:4 (October, 1992): 443-446. On that note I will end my comments. We hope that the contents of the statement “How to Translate the Name” and the articles, along with the bibliography of previous TBT articles and other references, will be a useful resource for translators who face the issue of translating the names of God now and in the future. Howard Hatton, “Notes: Translating yhwh: Experience In Thailand And Micronesia,” The Bible Translator, Vol. 43:4 (October, 1992): 446-448. David Thomas, “A Further Note on YHWH,” The Bible Translator, Vol. 44:4 (October, 1993): 444-445. Jørgen Larsen, “Still More on YHWH,” The Bible Translator, Vol. 45:2 (April, 1994): 243-244. Marcelo Epstein, “On The “Original” Septuagint,” The Bible Translator, Vol. 45:3 (July, 1995): 322-329. Daud H. Soesilo, “Sir, Teacher, Master, Lord,” The Bible Translator, Vol. 47:3 (July, 1996): 335-340. Mary Steele, “Translating the Tetragrammaton YHWH In Konkomba,” Notes on Translation, Vol. 11:4 (1997): 28-31. Katharine Barnwell, “Translating the Tetragrammaton YHWH,” Notes on Translation, Vol. 11:4 (1997): 24-27. David DeGraaf, “Translating ‘God’ and ‘Sacrifice’ into Nyarafolo,” Notes on Translation, Vol. 13:3 (1999): 34–49. Daud Soesilo, “Translating the Names of God: recent experience from Indonesia and Malaysia,” The Bible Translator, Vol. 52:4 (October, 2001): 414-423. 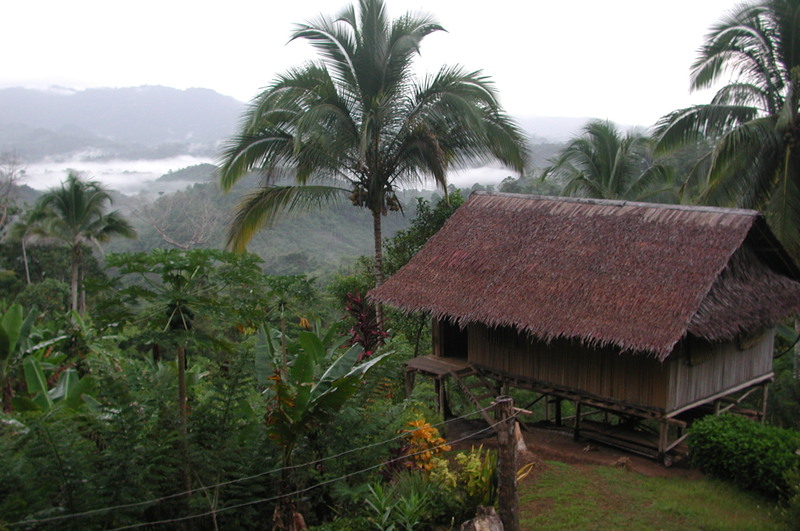 Norm Mundhenk, “Who is God in Papua New Guinea?” The Bible Translator, Vol. 55:2 (April, 2004): 215-227. The Bible Translator, Vol. 56:2 (April, 2005): 71-76. Vitaly Voinov, “Pronominal Apostasy? Or: Whose God Do You Mean?” The Bible Translator, Vol. 56:4 (October, 2005): 239-245. Nico Daams, “Translating YHWH,” Journal of Translation, Vol. 1:1 (2005): 47-55. Why can’t Catholics say Y@#W&H!? I was wondering if anything strange or wonderful was going to happen on 8/8/08. Well, it seems that something strange AND wonderful did happen, and it touches directly on Bible translation. A letter dated 8 August 2008 was sent from Bishop Serratelli (Chairman of the U.S. Bishop’s Committee on Divine Worship) to U.S. Catholic bishops introducing directives from the Vatican in a statement from Cardinal Arinze on the pronunciation and translation of the divine name. The divine name was revealed to Moses in Exodus 3:14 and written as יהוה (YHWH — ‘Yahweh’), also known as the tetragrammaton (“4 letters”). The divine name appears 6877 times in the Hebrew Torah (according to the masoretic text published in the Biblia Hebraica Stuttgartensia), but it is normally read as ‘Adonai’ (meaning ‘Lord’) by Jews–but also by many Christians, especially students of the Hebrew scriptures–in order to respect God’s name “and keep it holy.” More recent trends have seen the use of ‘Yahweh’ appear in songs, prayers, and even some translations (e.g. the Catholic New Jerusalem Bible), and it’s wider use is evident the popular song ‘Yahweh’, written and recorded by Bono of the band U2. letter containing several directives on the use of “the Name of God” in the Sacred Liturgy. to emphasize the theological accuracy of our language and appropriate reverence for the Name of God so consistent in our tradition. While the directives contained here do not force any changes to official liturgical texts, including our continuing work of the translation of the Missale Romanum, editio typica tertia, which already follow the spirit of the directives, there may be some impact on the use of particular pieces of liturgical music in our country as well as in the composition of variable texts such as the General Intercessions for the celebration of the Mass and the other sacraments. the power of language as an act of devotion and worship. render the divine name in modern language translations of the Bible with the equivalent of Adonai/Kyrios: ‘Lord’, ‘Signore’, ‘Seigneur’, ‘Herr’, ‘Señor’, etc. in translating biblical texts that include both the Hebrew term Adonai as well as the tetragrammaton YHWH one after the other, Adonai is to be translated as ‘Lord’, and the tetragrammaton is to be translated as ‘God’. So what’s so STRANGE about all of this? The venerable biblical tradition of Sacred Scripture, known as the Old Testament, displays a series of divine appellations, among which is the sacred name of God, revealed in the tetragrammaton YHWH (יהוה). As an expression of the infinite greatness and majesty of God, it was held to be unpronounceable and hence was replaced during the reading of Sacred Scripture by means of the use of an alternate name: ‘Adonai’, which means ‘Lord’. The Greek translation of the Old Testament, the so-called Septuagint, dating back to the last centuries prior to the Christian era, had regularly rendered the Hebrew tetragrammaton with the Greek word Kyrios, which means ‘Lord’. Since the text of the Septuagint constituted the Bible of the first generation of Greek-speaking Christians, in which language all the books of the New Testament were also written, these Christians, too, from the beginning never pronounced the divine tetragrammaton. Certainly, Jewish-Christian dialogue must proceed on the basis of appropriate principles of humility and respect for differing traditions. But outside of Jewish-Christian dialogue (which the Vatican’s letter is), it is certainly appropriate for the Christian community to ask if the divine name can be spoken with due reverence. So what’s so WONDERFUL about all this? This fact has had important implications for New Testament Christology itself. When in fact St. Paul, with regard to the Crucifixion, writes that “God has highly exalted him and bestowed on him the name which is above every name” (Phil 2:9), he does not mean any other name than “Lord,” for he continues by saying, “and every tongue confess that Jesus Christ is Lord” (Phil 2:11; cf. Is 42:8: “I am the Lord; that is my name”). The attribution of this title to the Risen Christ corresponds exactly to the proclamation of his divinity. The title in fact becomes interchangeable between the God of Israel and the Messiah of the Christian faith, even though it is not in fact one of the titles used for the Messiah of Israel. In the strictly theological sense, this title is found, for example, already in the first canonical Gospel (cf. Mt 1:20: “The angel of the Lord appeared to Joseph in a dream.”) and one sees it as a rule in Old Testament citations in the New Testament (cf. Acts 2:20: “The sun shall be turned into darkness… before the day of the Lord comes (Joel 3:4); 1 Peter 1:25: “The word of the Lord abides for ever” (Is 40:8)). However in the properly Christological sense, apart from the text cited of Philippians 2:9-11, one can remember Romans 10:9 (“If you confess with your lips that Jesus is Lord and believe in your heart that God raised him from the dead, you will be saved”), 1 Corinthians 2:8 (“they would not have crucified the Lord of glory”), 1 Corinthians 12:3 (“No one can say ‘Jesus is Lord’ except by the Holy Spirit”) and the frequent formula concerning the Christian who lives “in the Lord” (Rm 16:2; 1 Cor 7:22; I Thess 3:8; etc.). …to communicate to the Bishops’ Conferences the following as regards the translation and the pronunciation, in a liturgical setting, of the Divine Name signified in the sacred tetragrammaton, along with a number of directives. the Church, what is already prescribed by n. 41 of the Liturgiam authenticam is to be followed; that is, the divine tetragrammaton is to be rendered by the equivalent of Adonai/Kyrios: “Lord”, “Signore”, “Seigneur”, “Herr”, “Señor“, etc. This can only mean the process of translating the Bible that happens prior to liturgical usage. The words of Sacred Scripture contained in the Old and New Testament express truth which transcends the limits imposed by time and place. They are the Word of God expressed in human words and, by means of these words of life, the Holy Spirit introduces the faithful to knowledge of the truth whole and entire and thus the Word of Christ comes to dwell in the faithful in all its richness (cf. Jn 14:26; 16:12-15). In order that the Word of God, written in the sacred texts, may be conserved and transmitted in an integral and faithful manner, every modern translation of the books of the Bible aims at being a faithful and accurate transposition of the original texts. Such a literary effort requires that the original text be translated with the maximum integrity and accuracy, without omissions or additions with regard to the contents, and without introducing explanatory glosses or paraphrases which do not belong to the sacred text itself. As regards the sacred name of God himself, translators must use the greatest faithfulness and respect. Comment: On the whole, this is a worthy translation philosophy to attain to, but it really is an impossible task. Any linguist is aware of the vast differences between languages and understands that no translation can truly be made “without omissions or additions with regard to the contents, and without introducing explanatory glosses or paraphrases which do not belong to the sacred text itself.” Obviously, translation teams must try to minimize these elements, but that this goal might actually be attained seems a bit overstated. It is this overstatement of translation philosophy that makes the directive to render the divine name always as the equivalent of Adonai / Kyrios / ‘Lord’ a bit simplistic for a more complex translation problem.